LESLIE A. PAL Chancellor's Professor in the School of Public Policy and Administration at Carleton University, Ottawa, Canada. 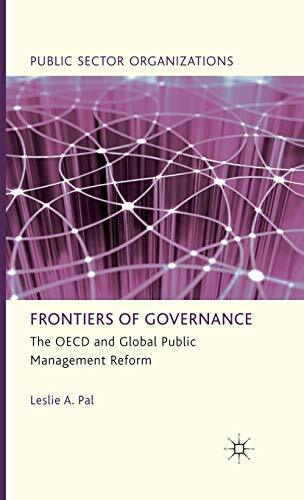 'Frontiers of Governance provides a definitive examination of the OECD that is both compendious and in-depth. It documents and analyses the OECD's unrivalled role in chronicling, dissecting, and proclaiming the trends and directions of public management across three decades. 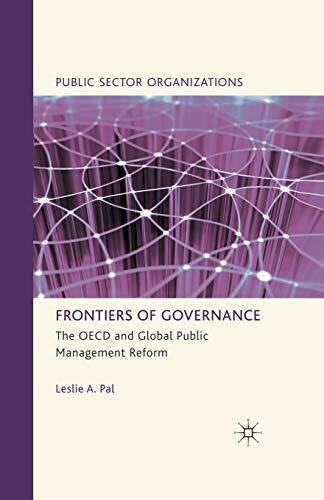 There is an illuminating account of movements in thinking and practice of public management, which is grounded in the OECD country surveys and cases from its member network. The book systematically examines and evaluates the roles and impact of the OECD in expanding international understanding of public management modernisation and providing benchmarks by which countries and academics can calibrate their positions.